14,940,624 (45.75% of Malaysian population) registered voters with 82.3% turnout for voting, 5,781,600 votes contributed to the current ruling party – Pakatan Harapan (PH), which marked a historic defeat for the ruling Barisan National (BN) coalition – governing party since 1957. Since the 7th Prime Minister of Malaysia, at age 92 years old swore in the office of Prime Minister Malaysia; World Record broken as previous record holder was Shimon Peres – Israeli President at age of 90. (Side fact: the youngest head of government in the world is Austria’s Sebastian Kurz – 31). The “Malaysian Tsunami” during GE14 was as significant to Malaysia as the fall of the Berlin Wall for Europe – Permatang Pauh MP Nurul Izzah Anwar. The big change is come from the unsung heroes – The People of Malaysia. Defence Minister – National Trust Party president Mohamad Sabu. 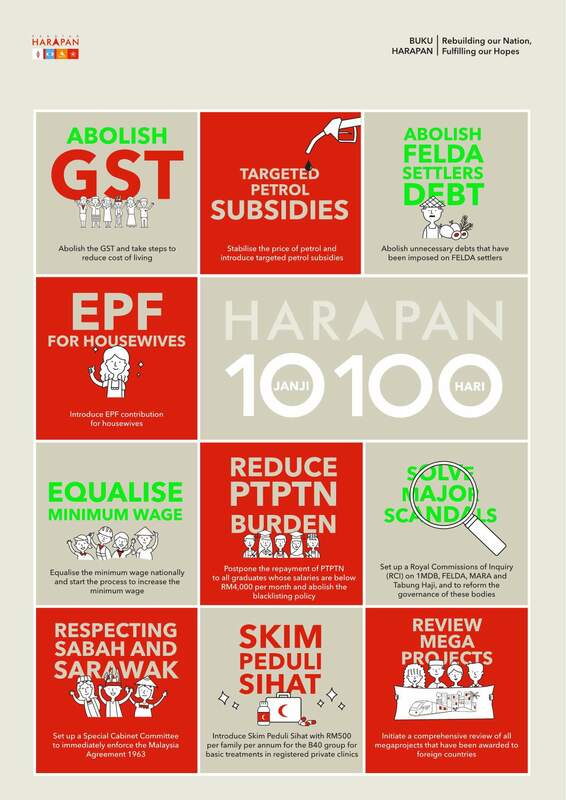 While on the other hand, Barisan National “literally” announced that all manifesto wouldn’t take in place. 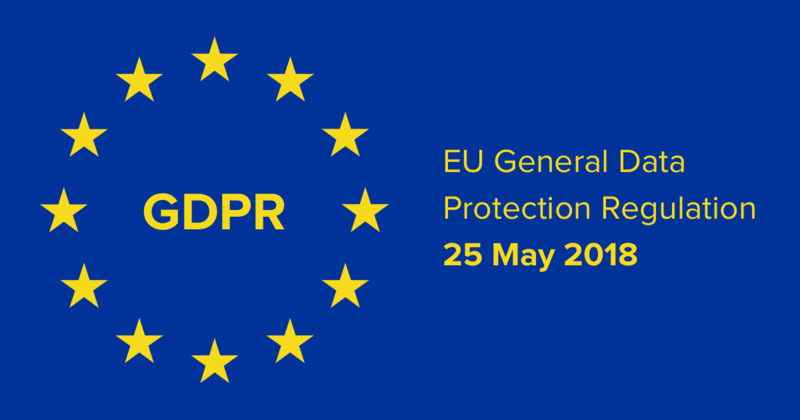 In May 2018, a European privacy law, the General Data Protection Regulation (GDPR), is due to take effect. The GDPR imposes new rules on companies, government agencies, non-profits, and other organizations that offer goods and services to people in the European Union (EU), or that collect and analyze data tied to EU residents. The GDPR applies no matter where you are located – especially in digital world. Primarily, it replaces the UK’s 1984 Data Protection Act and the EU’s Data Protection Directive, which initially came into force in 1995, with new guidelines that are better adapted to the modern, technology-dominated world. The main points of GDPR concern the privacy rights of everyday users and the data they create online, and will affect businesses of all sizes due to its effect on how they gather, store, and look after their data. Under GDPR, companies will also need to give explicit notice when collecting the personal data of their customers. This will also mean that consent will need to be explicitly given, and that companies will have to thoroughly detail the exact purpose that this data will be used for. This personal data will also need to be encrypted by default as part of a process known as pseudonymisation, meaning that it cannot be linked to a specific person without being accompanied by extra information. Users will also have the right to know exactly what details a company or organisation holds about them, and also request that any of this information be deleted if they feel their rights to privacy are being infringed as part of the new “right to erasure”. 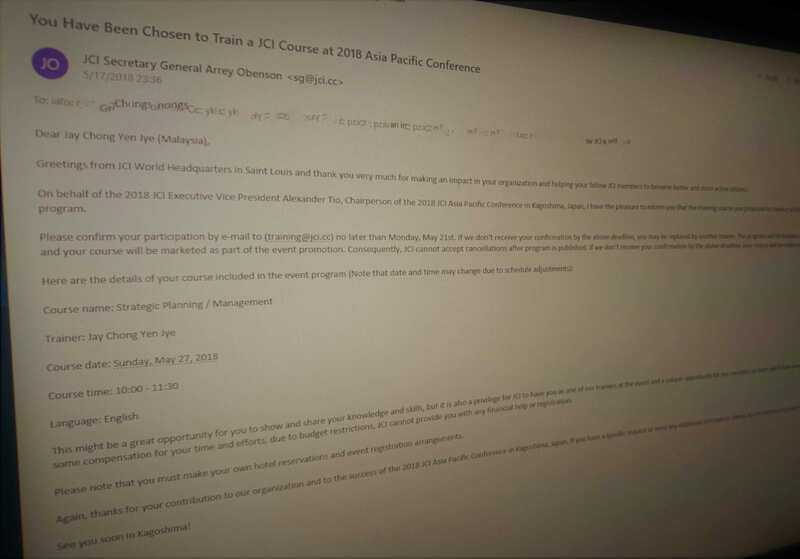 As ordinary JCI Member of year 2018 as i didn’t take up any officer-ship this year, it’s not under my watch to attend JCI Asia-Pacific Conference (ASPAC) that will be rocks the world of Kagoshima, Japan. Approximately 20 countries with active JCI National Organization, close to 3,000 Local Organizations (branches), each year there will be around 5,000+ delegates attending the ASPAC, especially when it’s being held at Japan – the most Local Organizations among 120 JCI National Organizations. Honestly, i’m not prepare for this, not to say that my profession is not a trainer, although throughout JCI journey, myself make it to more than 100 training hours as trainer nationwide. A lots of congratulations messages, asking me how i get the opportunity and so; I been overwhelming by the unexpected news that shocking me as a golden opportunity of my JCI life! Despite preparing for the training course – Strategic Planning / Management, leaving me no choice but at actually filtered out my work and focus, especially few NGOs projects on hand that required my attention all these while. I’m very sorry to my team for the “2-weeks-leave” and indeed i’m giving my best to promote the community-changer initiative along this journey in returns of my absently. Still, i can’t believe the opportunity falls to me! Once again, BIG THANK YOU to JCI and whoever support me all the way, that shaping me who I am today! You MAKE who is Jay Chong of the day! This entry was posted in Blog and tagged 25-may, 27-may, 9-may, ASPAC 2018, GDPR, GE14, JCI, JCI ASPAC, JCI ASPAC 2018, Kagoshima.